Oysters on in their shells. Cook oysters easily on the stove by steaming or deep-frying. All the common oyster species grown and sold in the United States, such as the Eastern, Pacific and European, can be cooked the same way. 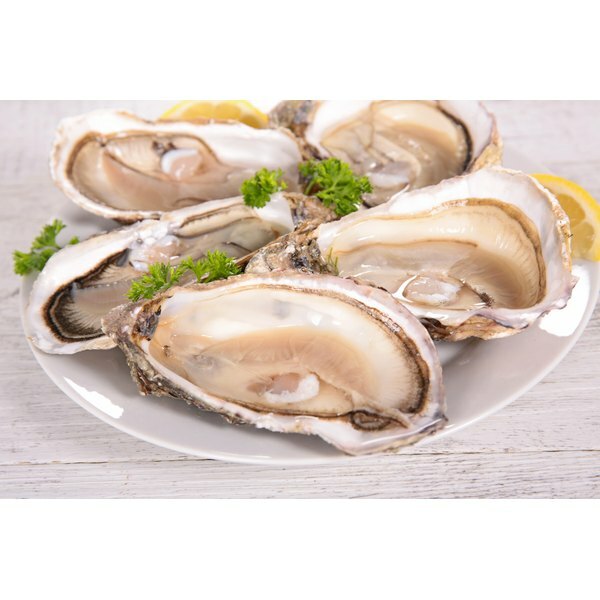 Oysters make a healthy, low-calorie meal that is packed with iron, zinc, selenium and vitamin B-12. One medium pacific oyster has 40 calories, 5 grams of protein and 1 gram of fat. Steam or deep-fry oysters for a delicious appetizer or as an addition to your seafood meal. Place a heavy pot on the stove or prepare a deep fryer. Add 3 inches of vegetable oil into the pot and heat over medium-high heat to 365 degrees Fahrenheit. Rinse the oysters. 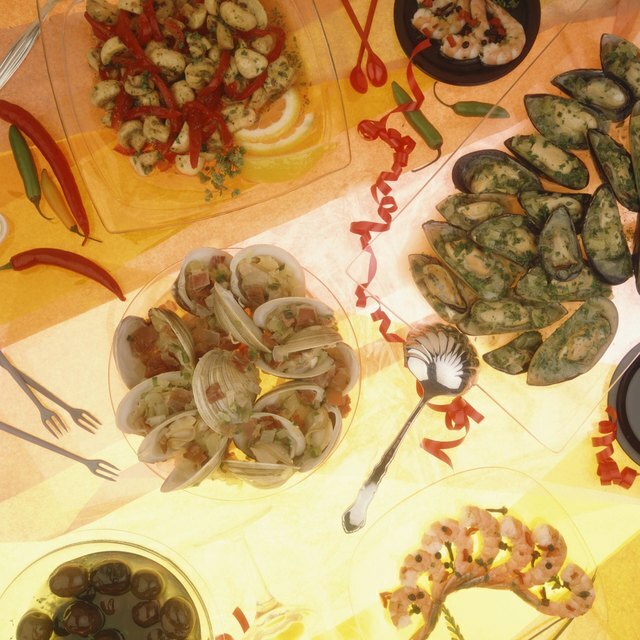 Shuck them by placing an oyster knife or other sturdy knife between the closed shells. Pry the shells open and scrape the oysters from the shells. Pour 1 cup of buttermilk into a bowl. Mix in another bowl 1½ cups of cornmeal, ½ cup of all-purpose flour, 2 tablespoons of chili powder, 1½ teaspoons of salt and black pepper to taste. Dip the oyster in the buttermilk, drain and coat with the cornmeal mixture. Place the oyster on a wax paper and coat the remaining oysters. Add few oysters into the oil with a slotted spoon. Cook until golden brown. Turn larger oysters once during cooking. Remove the oysters from the oil and place them on paper towels to drain. Scrub and rinse the oysters. Pour 3 cups of water, ¼ cup of white wine, 1 chopped garlic clove, 1 bay leaf, 1 teaspoon of salt and 1 teaspoon of black pepper into a large stockpot. Bring the mixture to boil. Place a steaming basket into the pot. Add the oysters on to the basket and steam for 10 minutes or until the shells have opened slightly. Remove the oysters from the pot and carefully shuck them by removing the top shell. Serve on a platter. Can You Deep Fry Shelled Peanuts? Can I Cook Oysters in the Shell in the Oven?